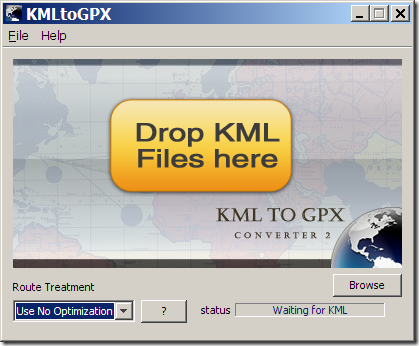 Drag and drop the KML file onto the button (or use the File => Open command to select a KML file), and a file save dialog will come up asking you where to save the GPX file. The dropdown at the lower left is supposed to let you choose a simplification mode for lines, where the default of “Use No Optimization” is supposed to use every point in the line. But on this default setting, lines don’t convert properly; only the starting point of the line is converted to GPX format. You have to select one of the other two line options to have the KML path convert correctly to a GPX route: “Use LRO” simplifies the line; “Use End To End” drops all points except the start and end and is only really useful if you just want a straight line. 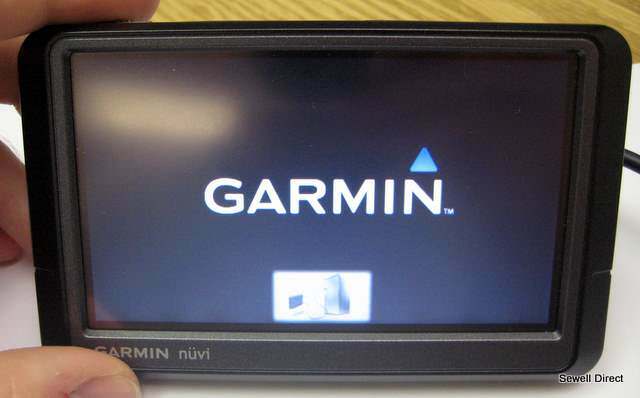 It modifies the point names, and doesn’t import path names.